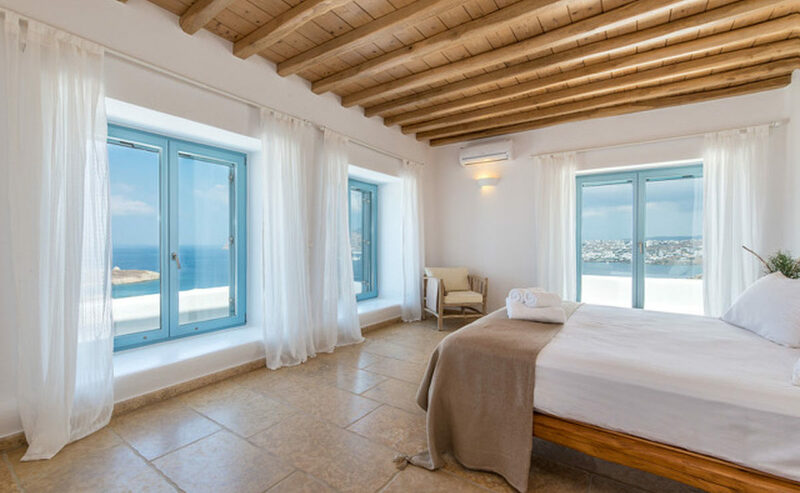 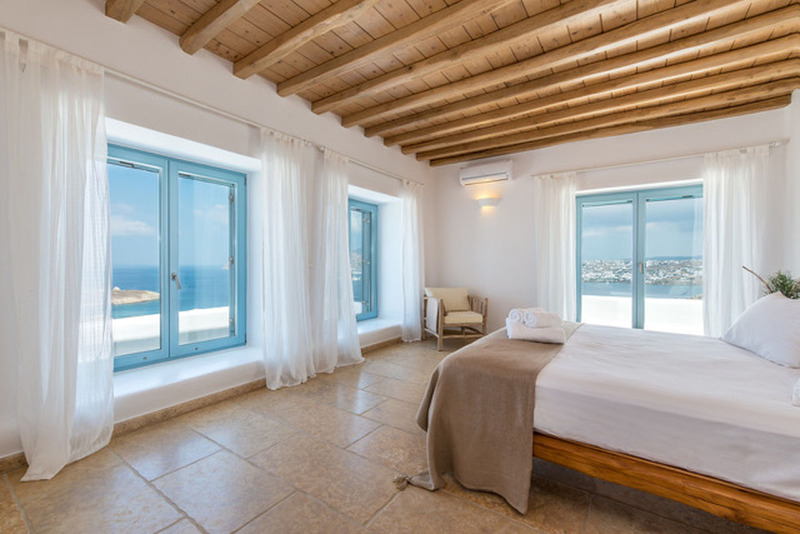 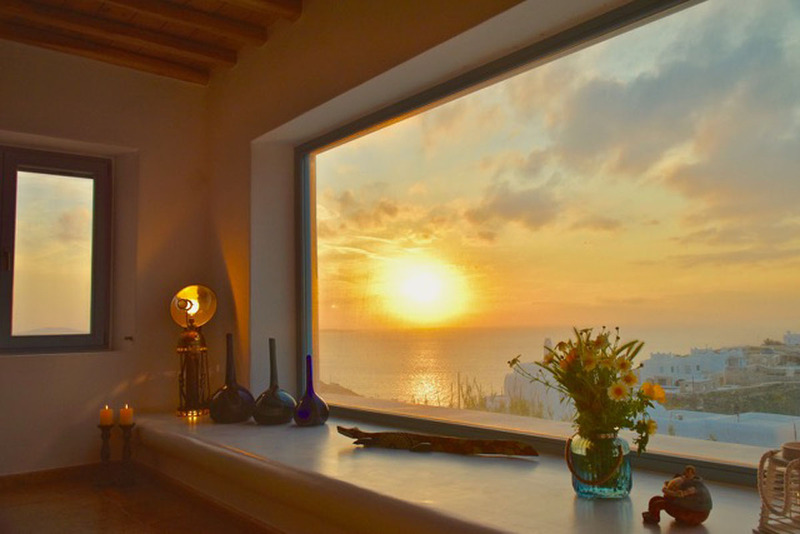 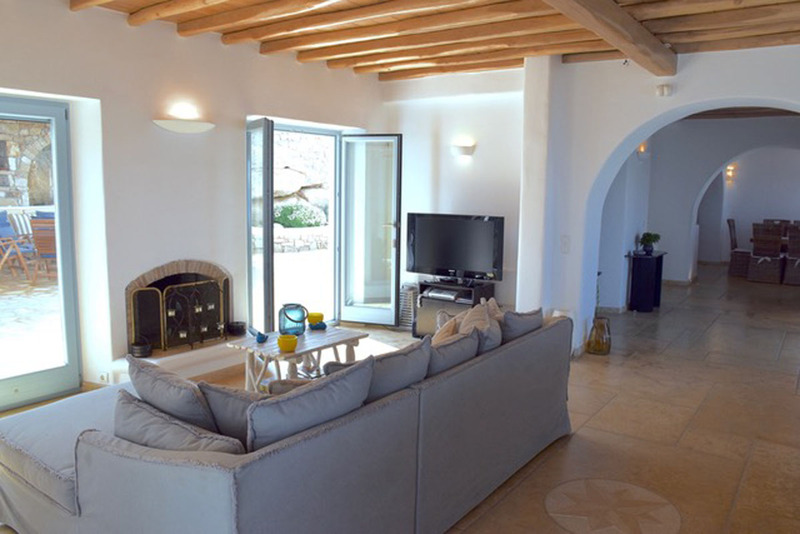 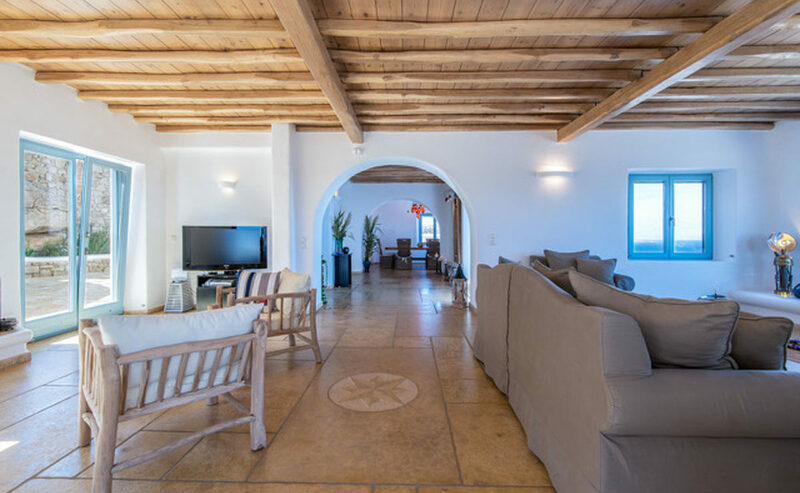 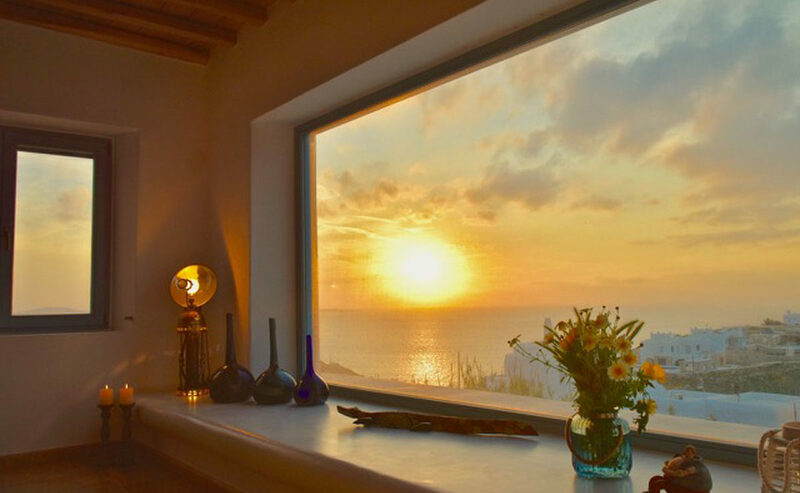 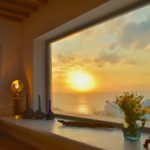 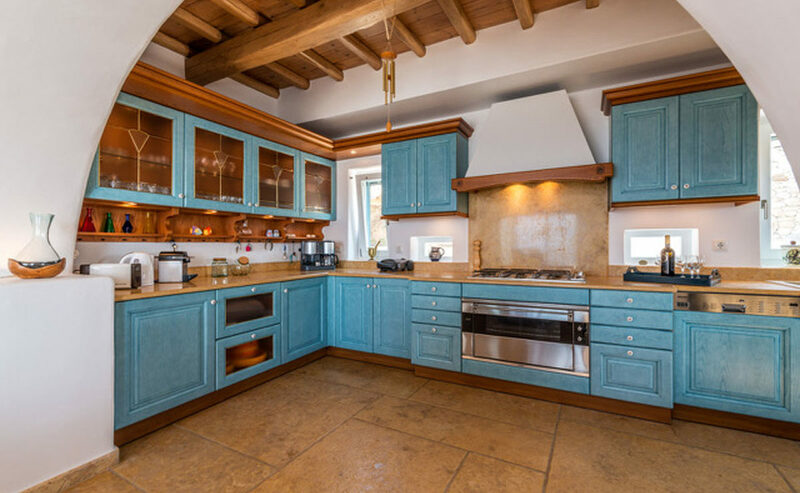 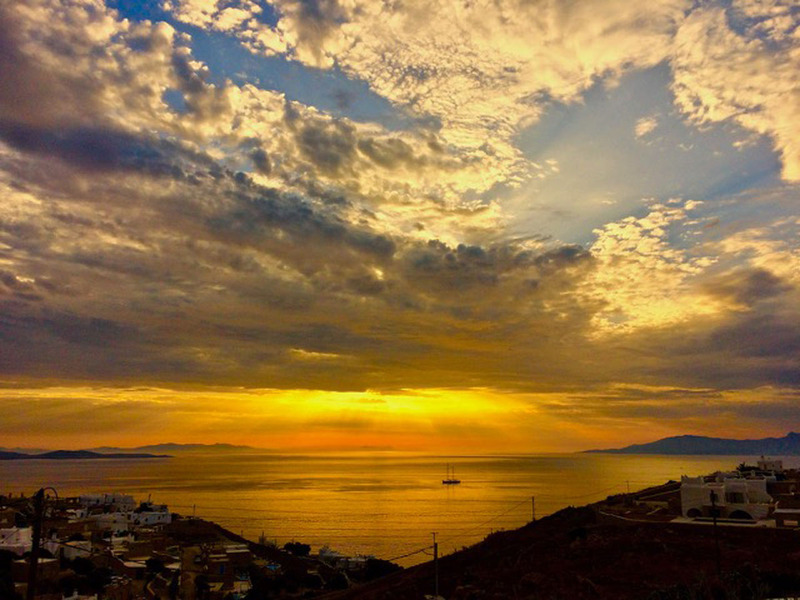 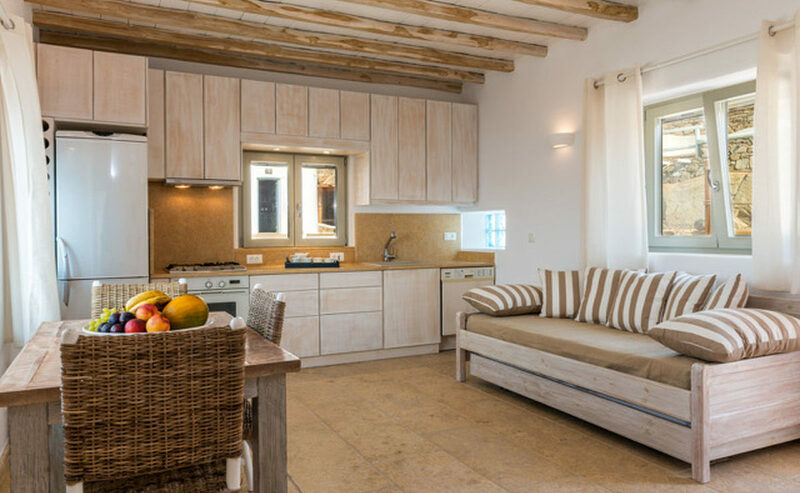 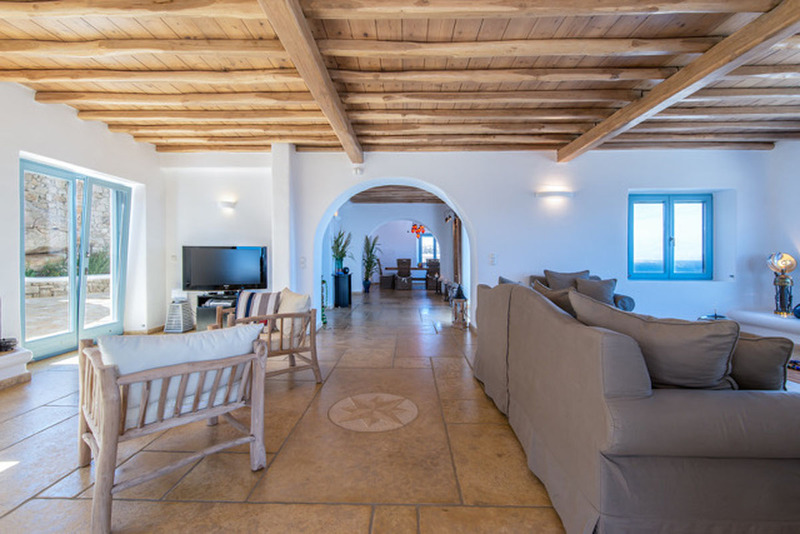 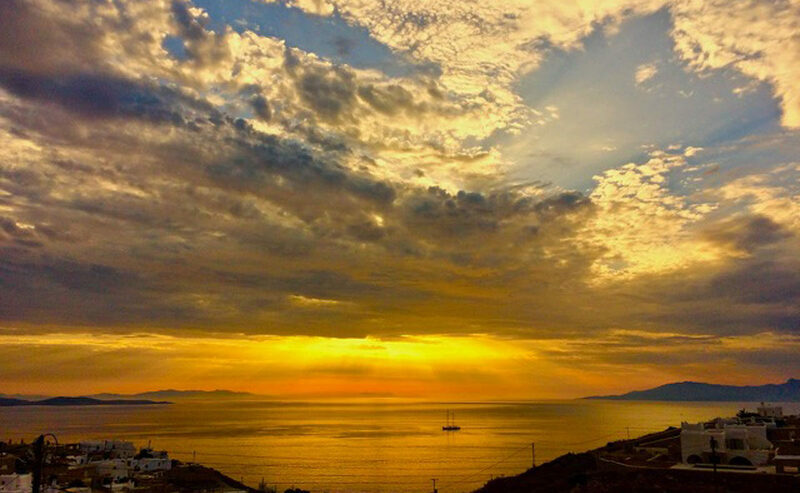 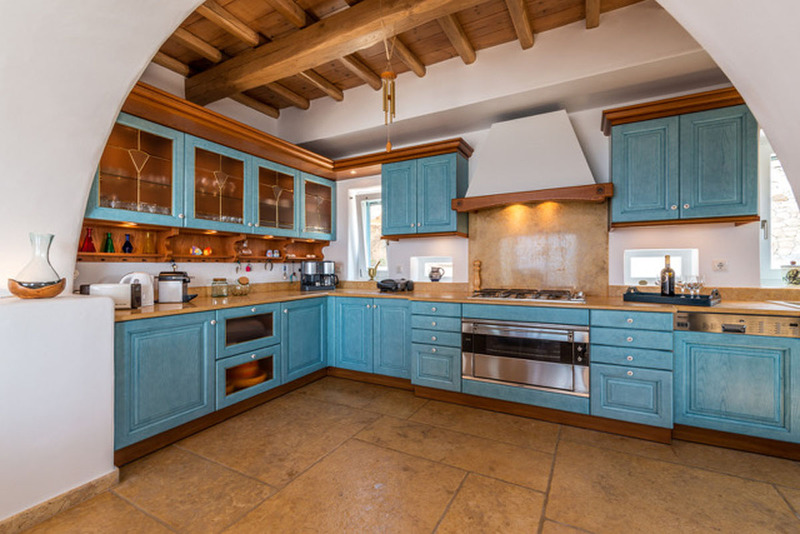 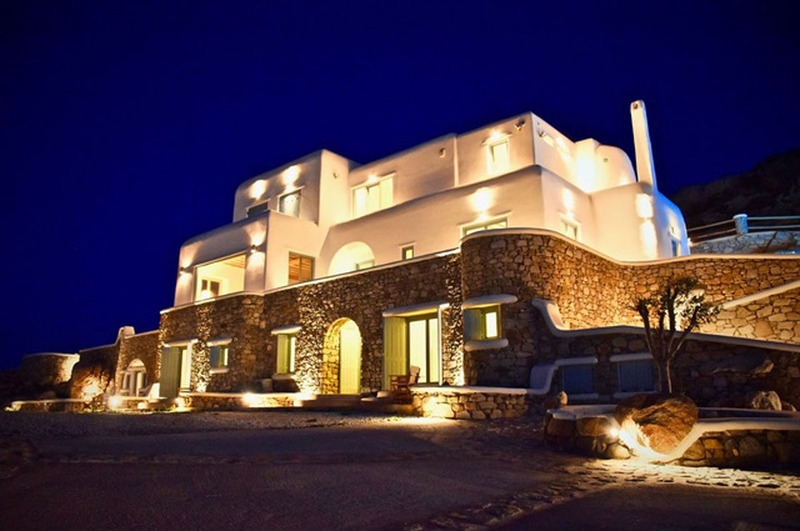 Villa Grande is located in Kanalia area, which is a fifteen minutes’ drive from Mykonos Town and just 2 kilometers away from the nearest beach of Ornos Bay. 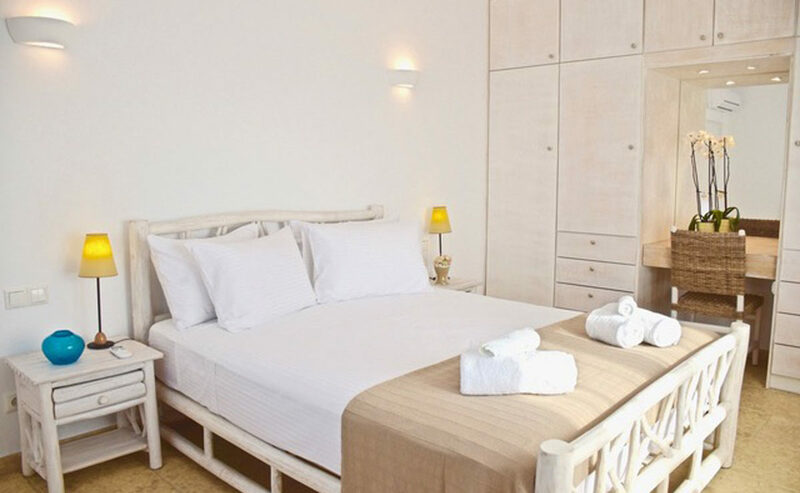 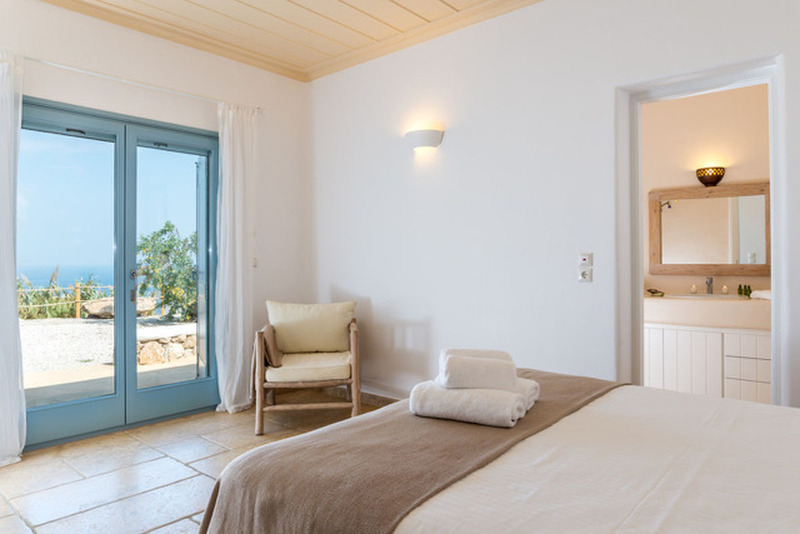 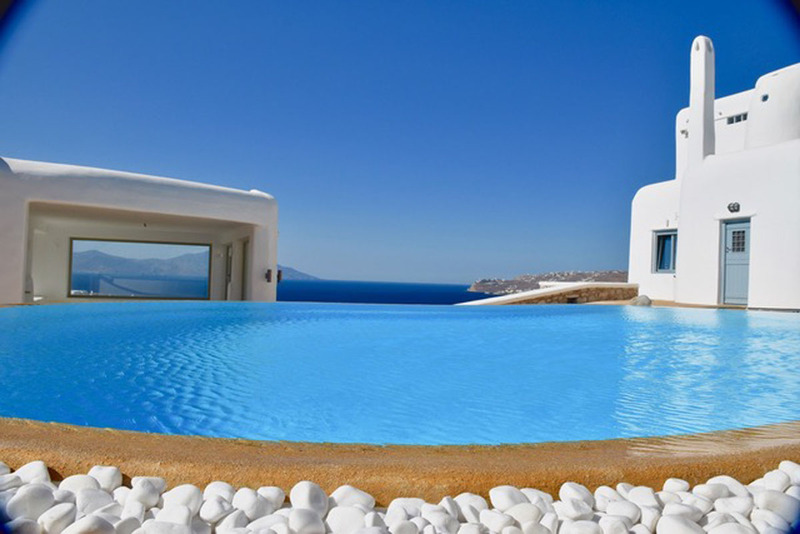 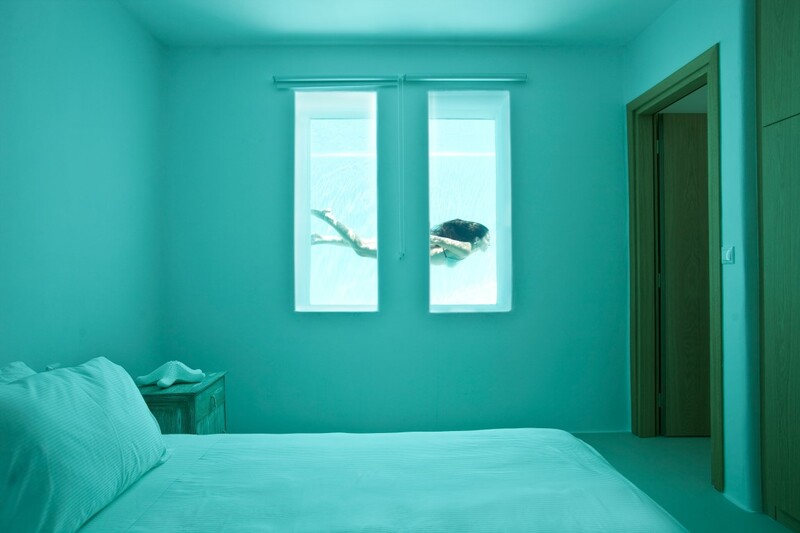 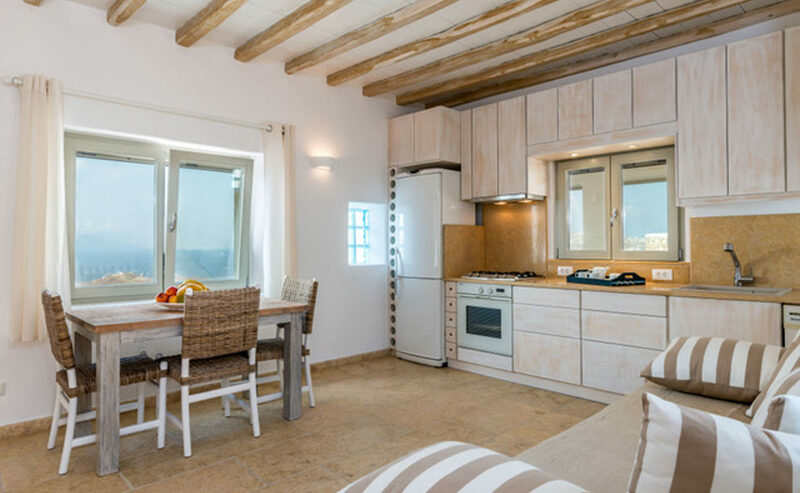 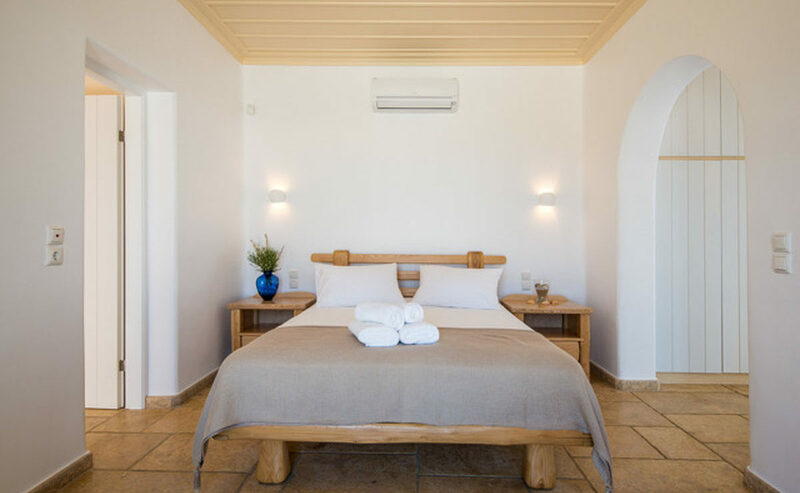 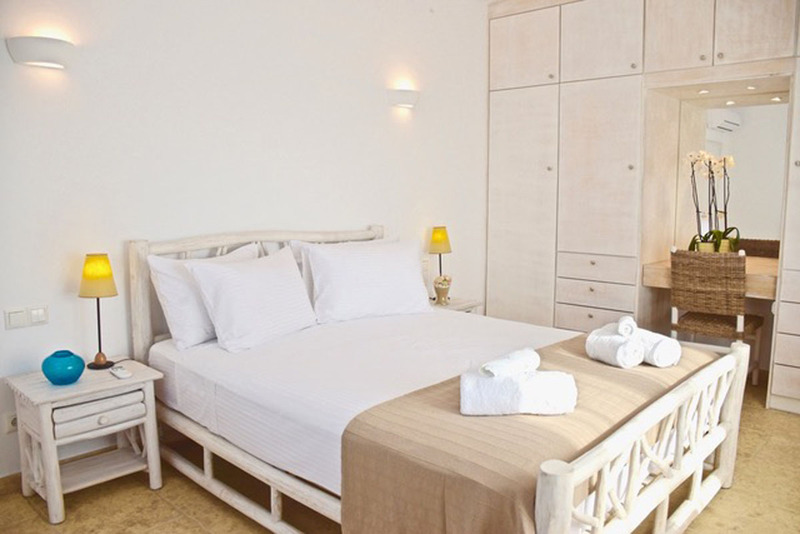 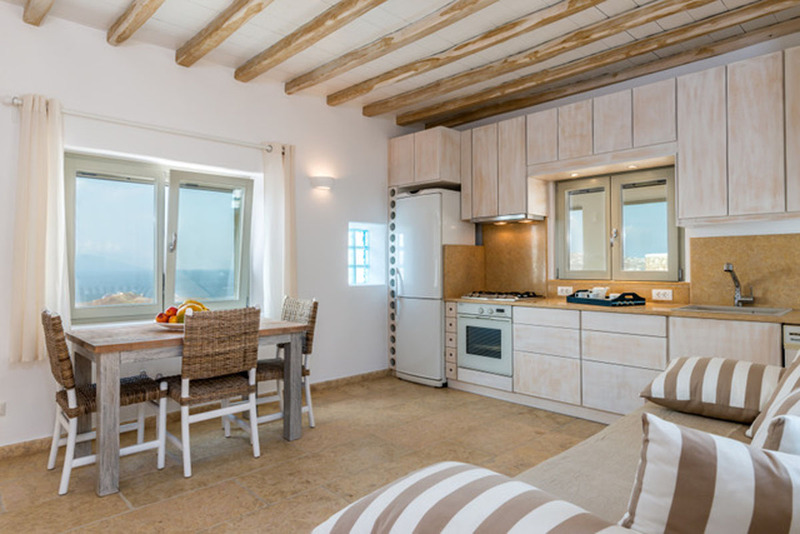 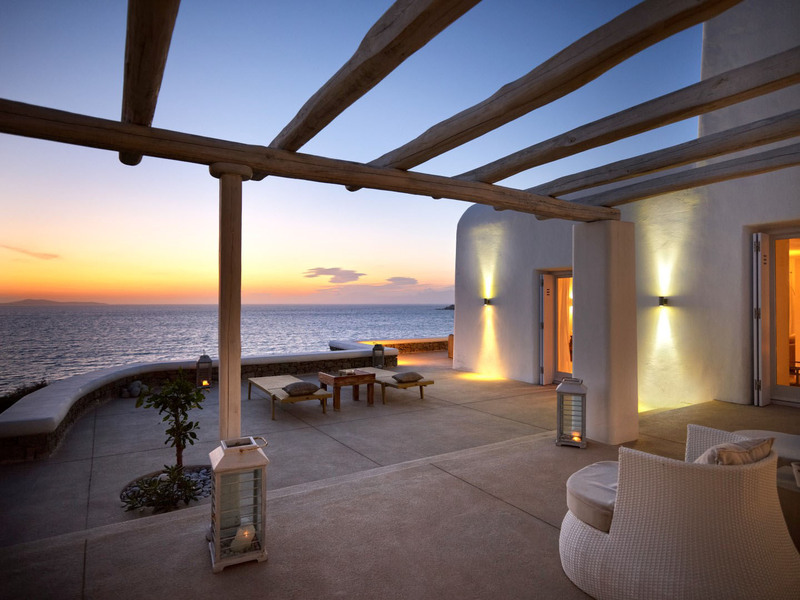 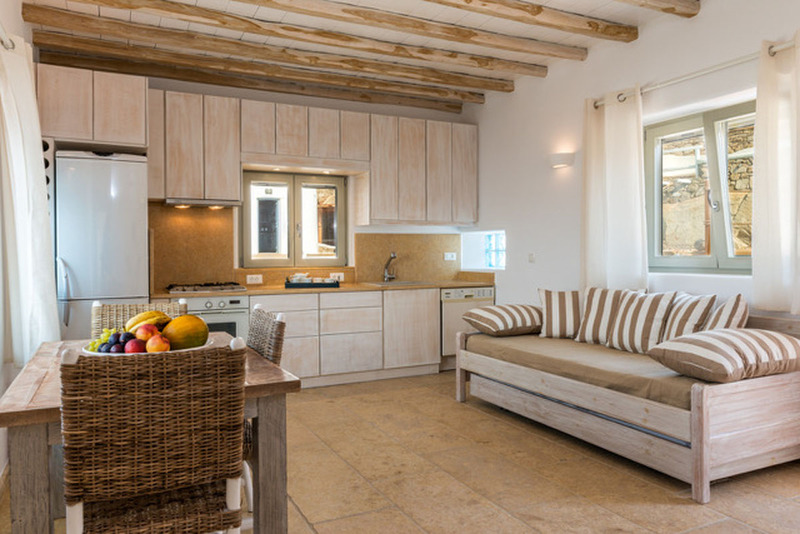 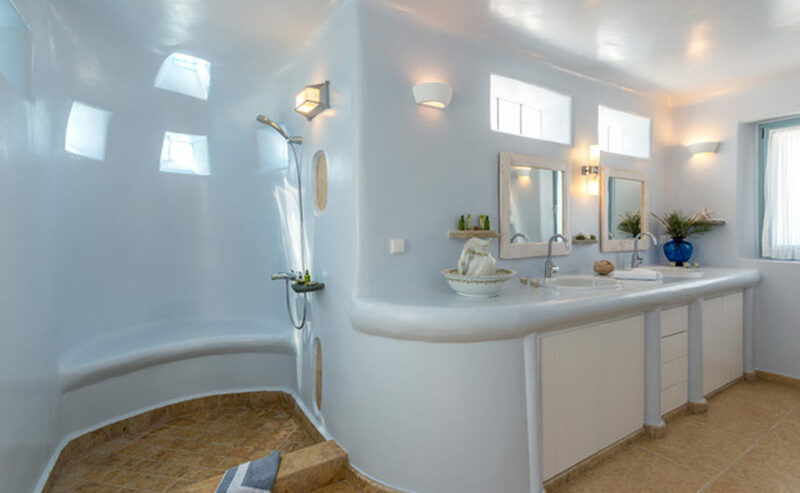 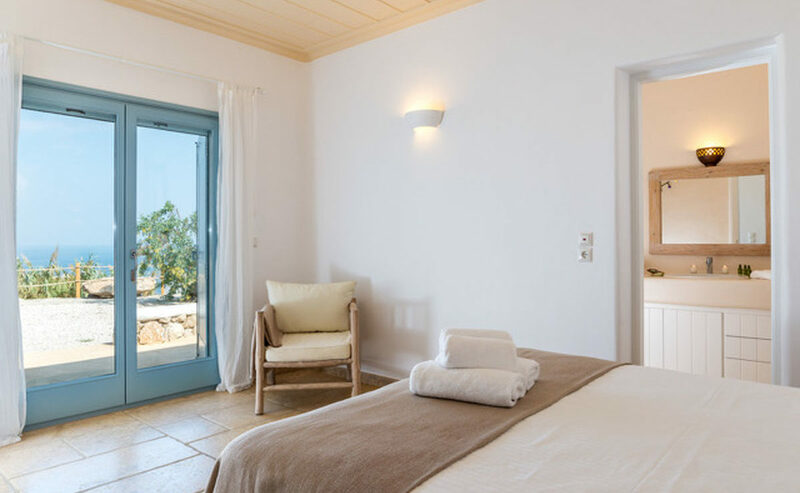 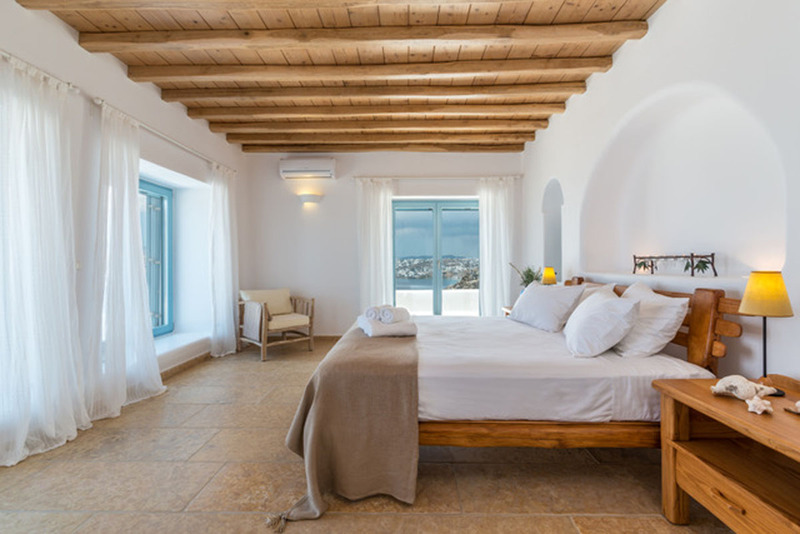 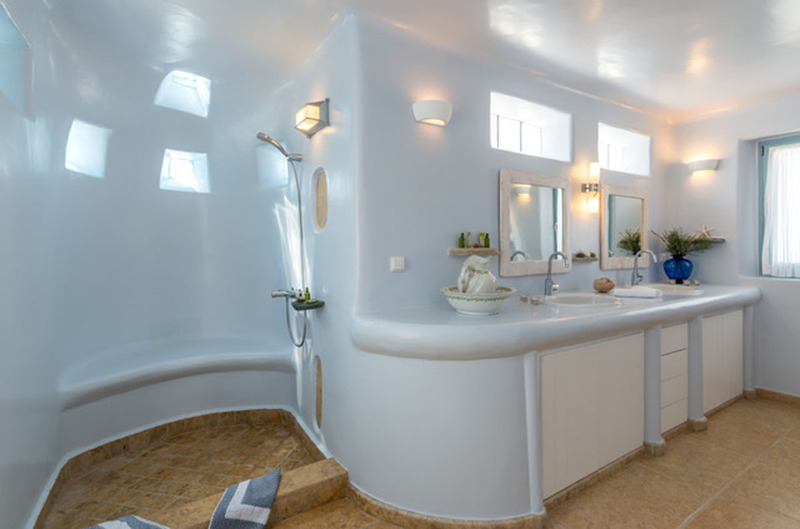 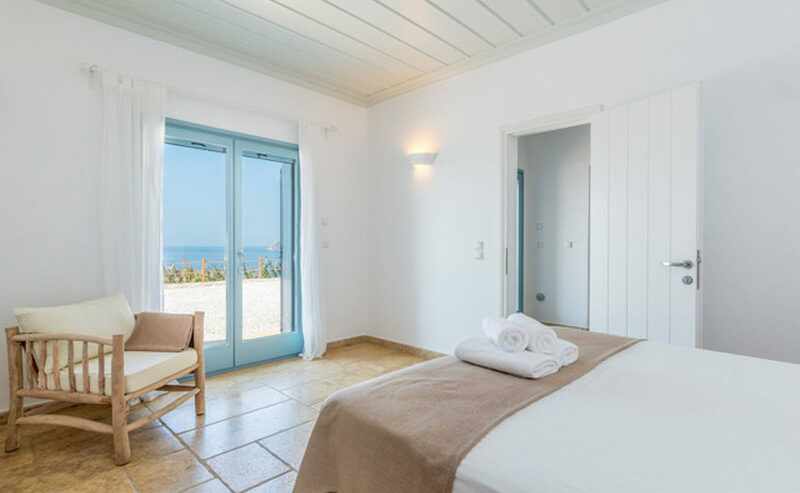 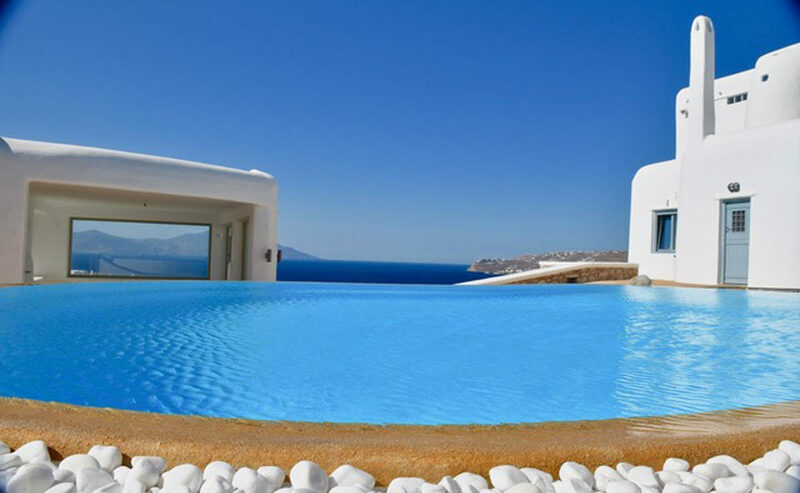 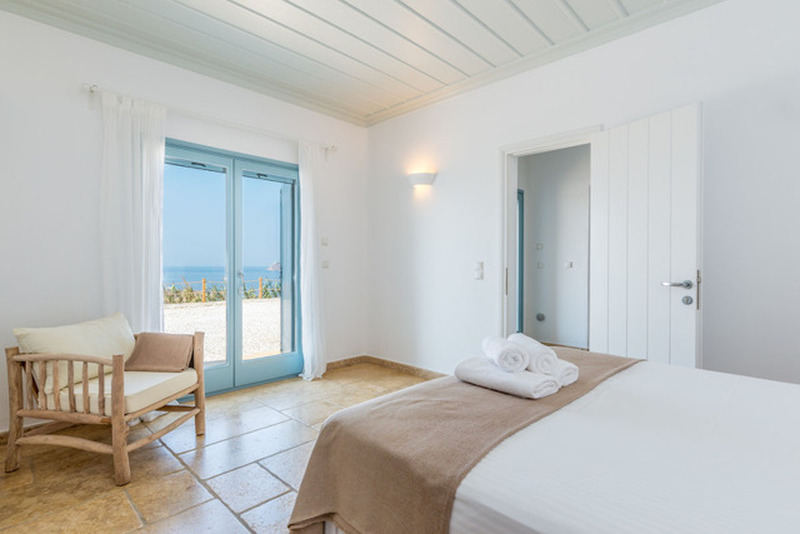 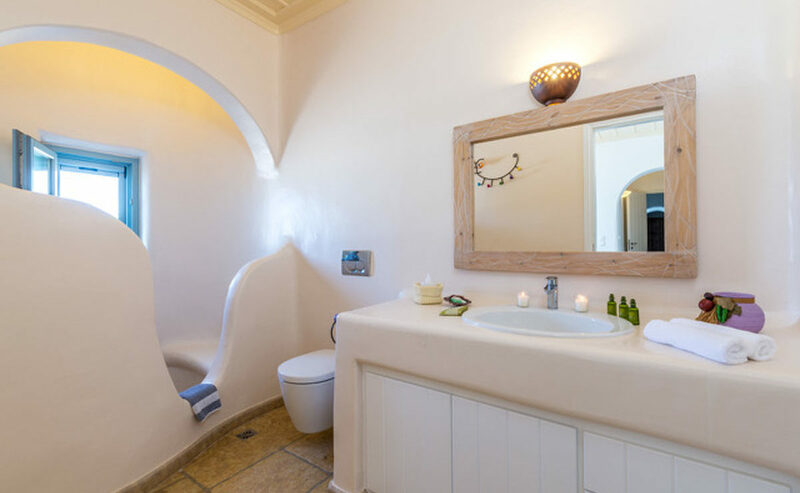 Bathed in the world famous Cycladic light and cooled by the Aegean breeze, it is one of the largest Villas in Mykonos (605sqm), with an adjacent Guest House (60sqm), built on a plot of over 4,000sqm, and offers the ideal holiday destination for large families or groups of friends. 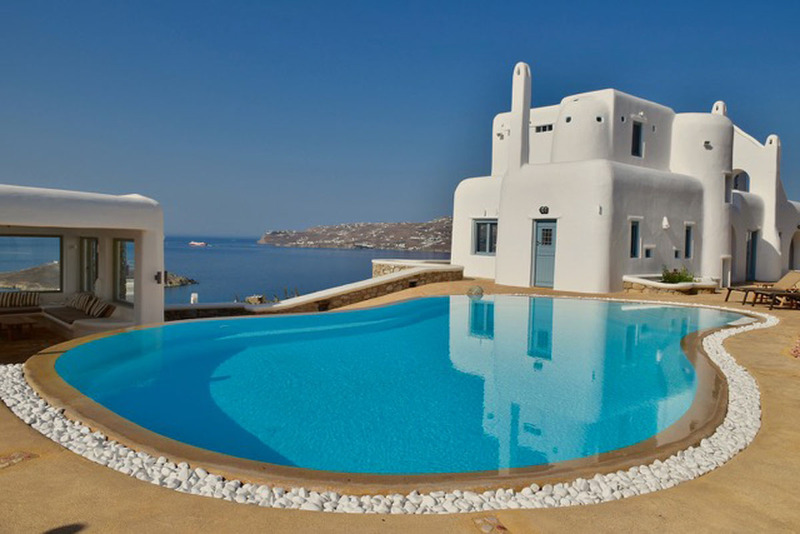 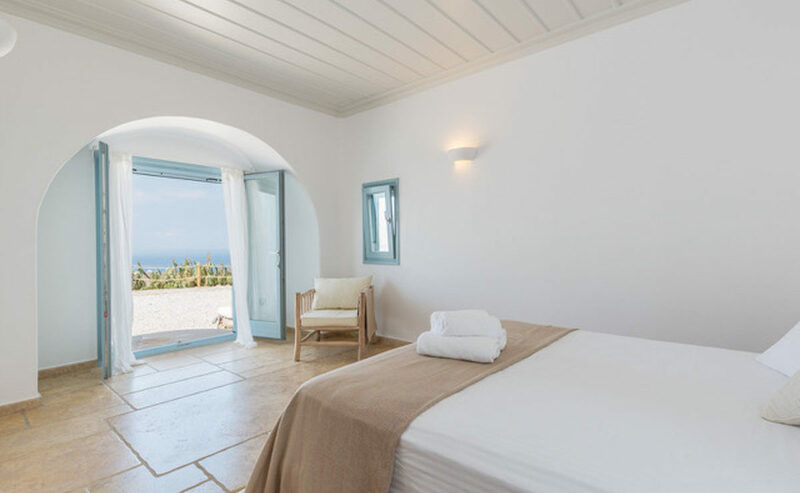 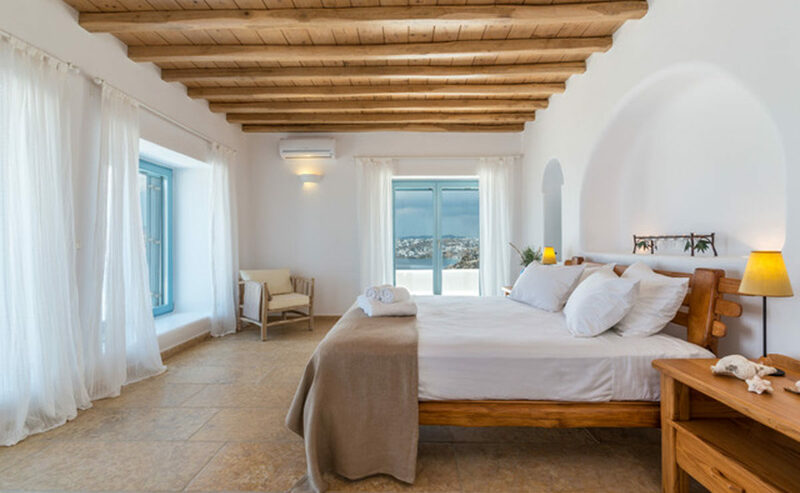 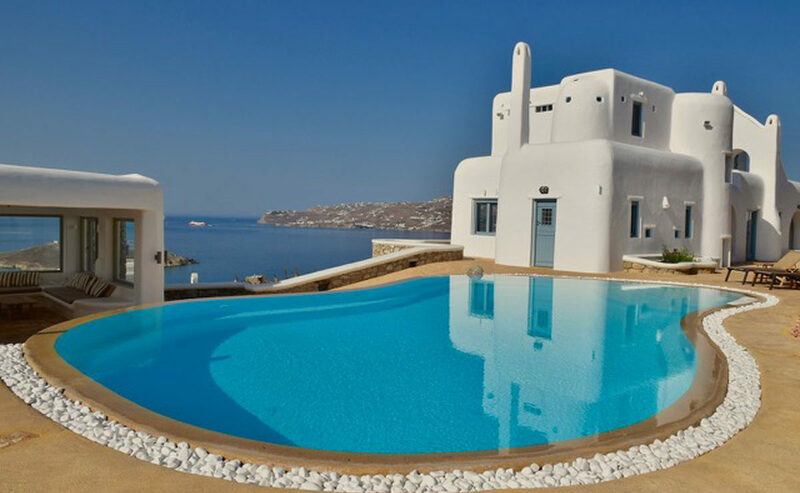 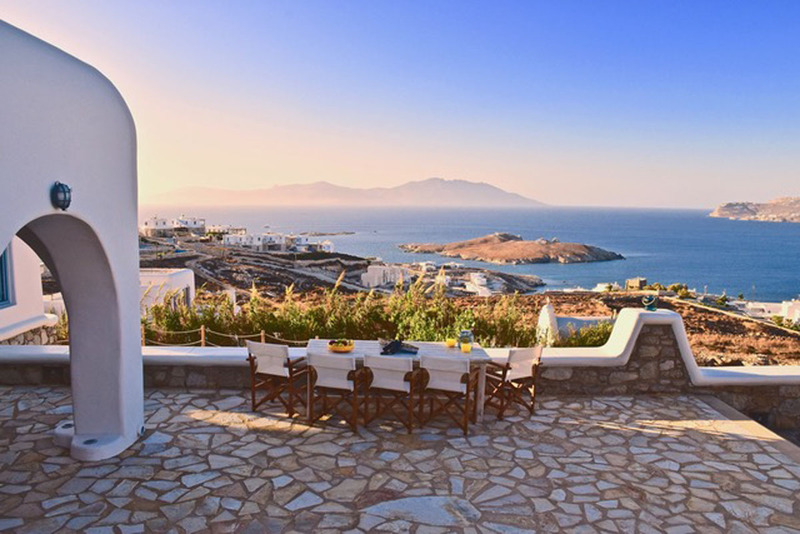 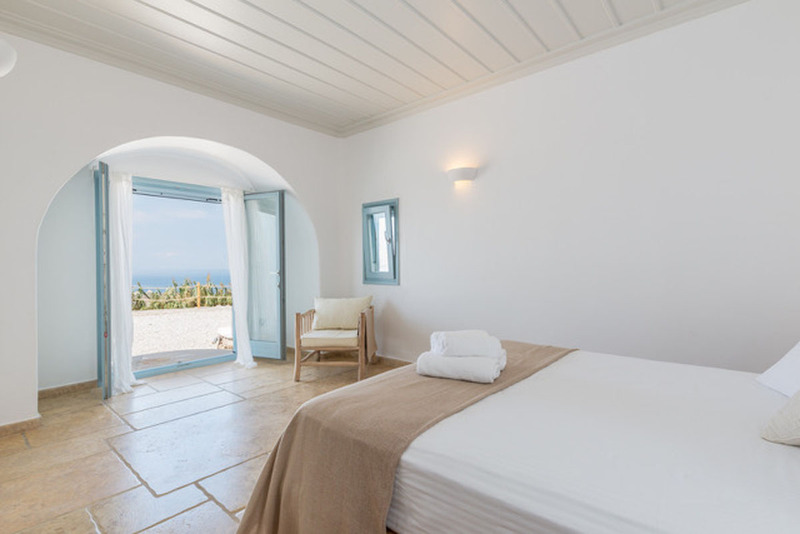 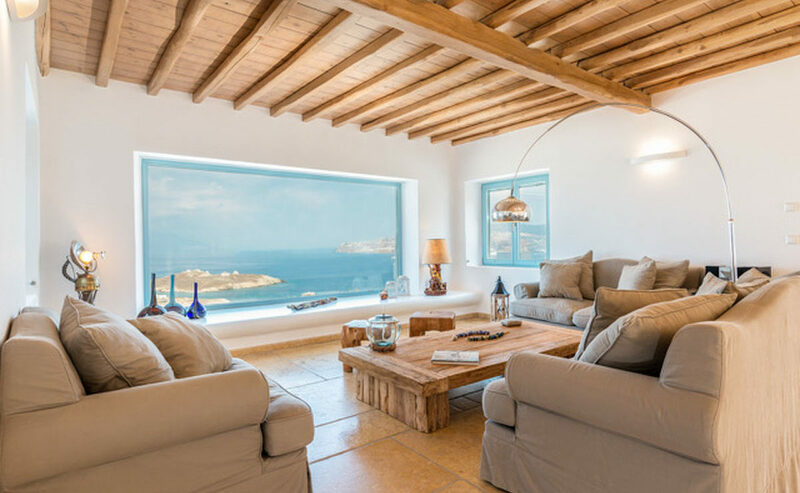 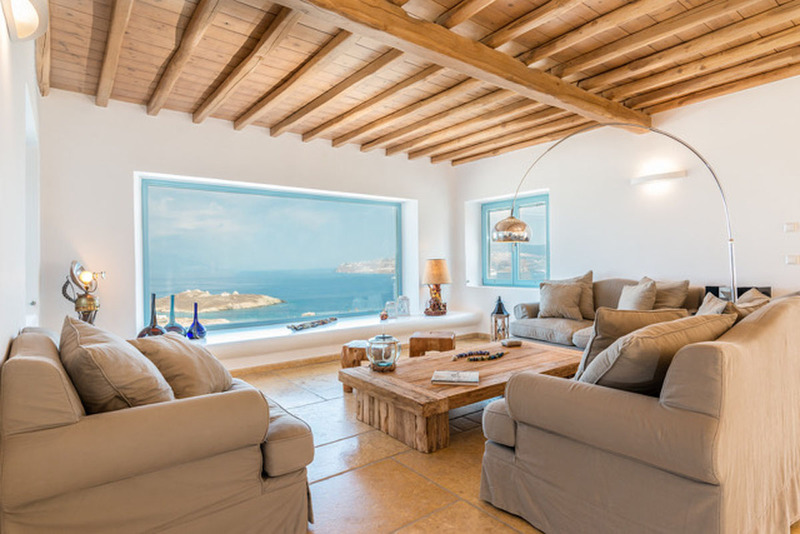 Villa Grande combines traditional Cycladic design, luxury and absolute privacy, offers a panoramic view towards Mykonos Town, old and new port and breathtaking sunsets. 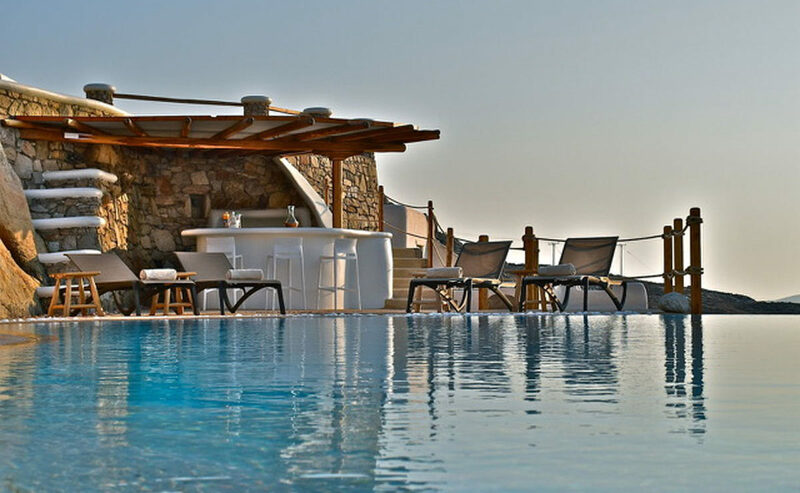 The outdoor area has an infinity swimming pool, surrounded with carved granite rocks, Pool Bar, large pergolas with wind shields and a dozen terraces & lounges for relaxing and dinning for up to 25 guests. 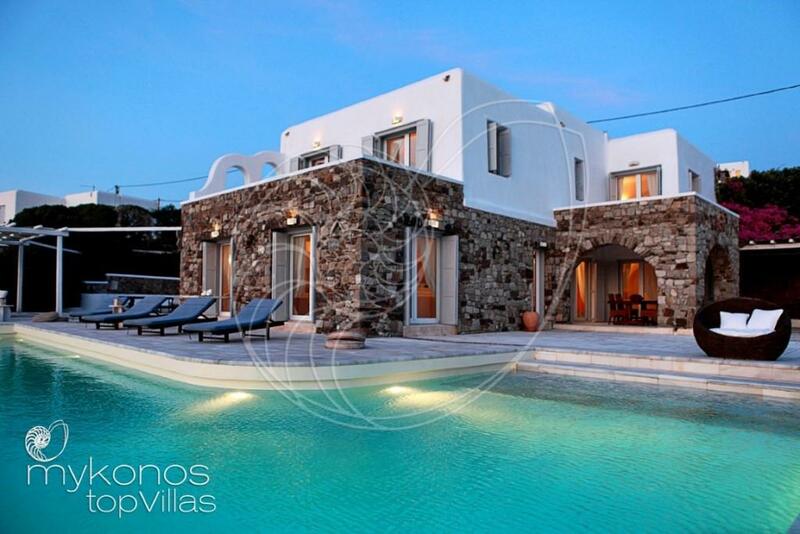 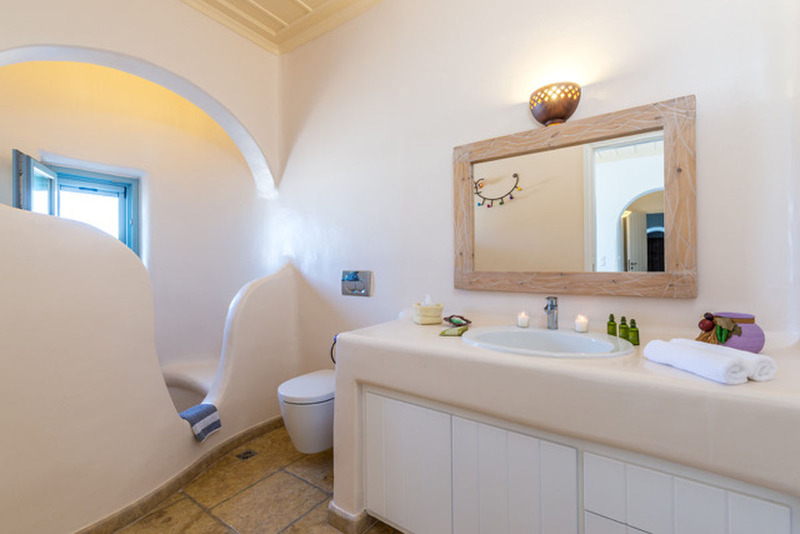 Ground floor: 4 bedrooms with en suite bathrooms, verandas and sea view. 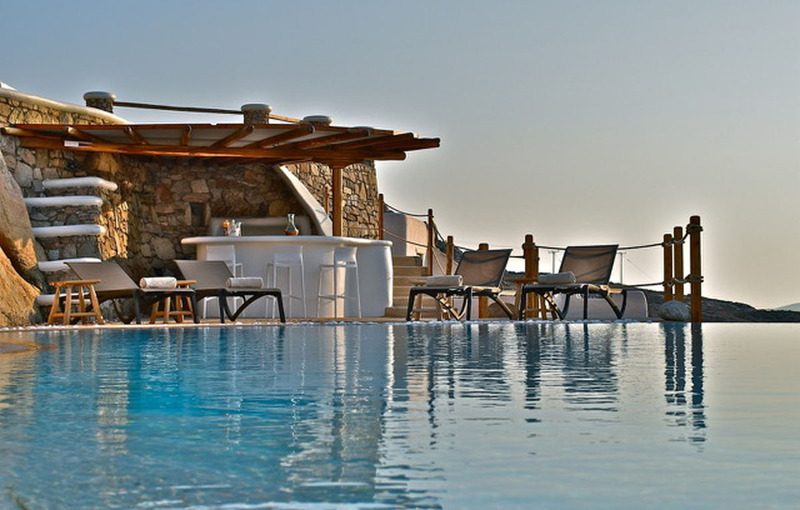 State of the art infinity swimming pool and a sitting lounge with BBQ, offers you another relaxing place with unique views and magnificent sunsets. Whether you are sitting by the pool or having a full-on barbeque, you will experience it with a unique view of the Aegean Sea and Mykonos Town!